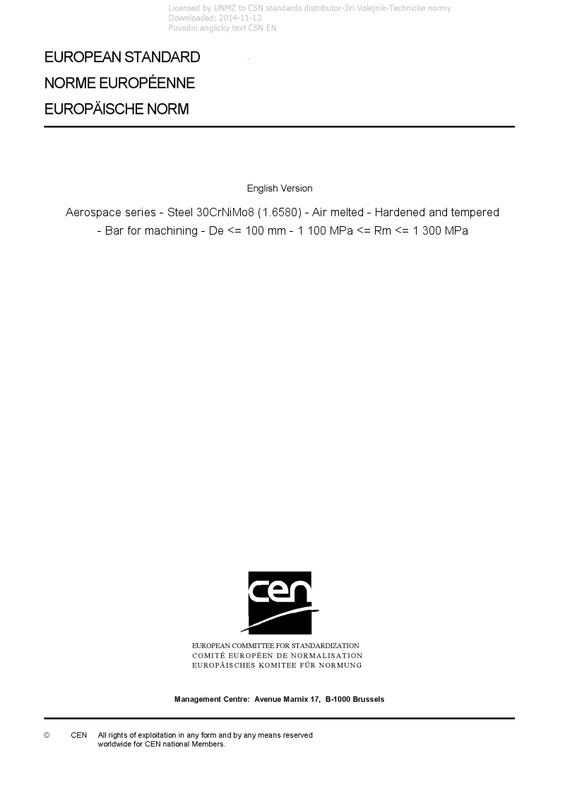 EN 2475 Aerospace series - Steel 30CrNiMo8 (1.6580) - Air melted - Hardened and tempered - Bar for machining - De <= 100 mm - 1 100 MPa <= Rm <= 1 300 MPa - This document specifies the requirements relating to: Steel 30CrNiMo8 (1.6580) Air melted Hardened and tempered Bar for machining De ? 100 mm 1 100 MPa ? Rm ? 1 300 MPa for aerospace applications.